"I don¿t know whether Ole will put himself on the bench!" Manchester United legend Ryan Giggs says Barcelona were the team everyone wanted to avoid in the Champions League draw. Giggs: "Creo que muchos equipos querían evitar al Barça"
Giggs' former side drew Barça, with the second leg at Camp Nou, in the quarterfinal and the Wales boss feels it will be a tough test for new coach Ole Gunnar Solskjaer. "It’s tough -- I think most people wanted to stay away from Barcelona [in the draw]," Giggs said in a press conference. 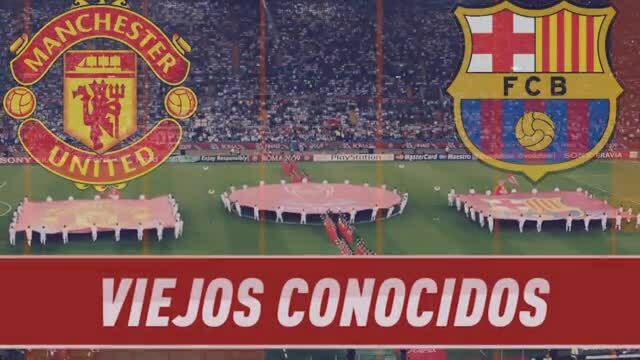 United have improved since Solskjaer replaced Jose Mourinho but Barça will still be a difficult game for them -- even if the Norwegian does have good memories at Camp Nou. Solskjaer scored one of the goals as Man Utd came back to beat Bayern Munich in Barcelona in the 1999 Champions League final. "Ole, especially, has got good memories of Camp Nou," Giggs added. "I don’t know whether he’ll put himself on the bench that night. He might have to think about that!"